Attention K-LOVE listeners. Your easy gifts have helped K-L OVE pay $21.5 million for one of the biggest stations in rock. According to Chicago media analyst Robert Felder and this FCC filing, Educational Media Foundation is gobbling up Chicago rock station WLUP-FM 97.9. As Felder points out in his article, K-LOVE just last year bought Los Angeles rock station “The Sound” and two other stations for $58 million. 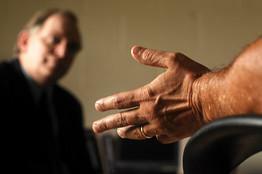 The Christian music giant pays for their expansion with twice yearly pledge drives. It should be obvious then that Chicago is a huge score. Get ready Chicagoland listeners, soon you will be asked to make those easy pledges of $40/month so you can keep K-LOVE on the air. They will need a little less than an entire pledge drive to pay for that station. What happens when K-LOVE buys all the stations? EMF [Educational Media Foundation – K-LOVE’s parent company] will acquire Classic Rock “100.3 The Sound” KSWD Los Angeles as well as 92.1 KSOQ Escondido CA (Simulcasts Country http://www.froggy101.com/“>97.3 KSON San Diego) and 95.9 WGGI Berwick PA (Simulcasts Country “Froggy 101” WGGY Wilkes-Barre). Entercom divested the stations as part of their merger with CBS. This year K-LOVE has also acquired stations in other markets including Rhode Island, Louisiana, Virginia, and Ohio. These are just a few of the purchases. K-LOVE has been quite active this year. What is clear is that the pledge drives are making it possible for K-LOVE to increase market share not just stay on the air. Educational Media Foundation’s business model portends well to constant expansion. Multiple federal rules allow EMF to take advantage of loopholes that commercial operators do not have the opportunity to do so. As a non-profit EMF can take advantage of tax credits and loopholes. The networks take on the majority of their revenue through listener donations and as the group expands to more markets that brings more potential listeners and donors. With the main-studio waiver that each EMF license holds, the local stations do not exist as anything more than a rack of equipment at the translator site as programming currently all comes from a pair of locales. They don’t need to have a local studio or maintain local staffing cutting down costs. Local Christian radio is just about gone. Many of these stations have been gobbled up by K-LOVE with no end in sight. The FCC just did away with the requirement that broadcasters must have a local presence near the location where they have a license to broadcast. K-LOVE has long obtained waivers from this rule in order to broadcast nationally without needing to have a local station. Now they don’t need to get waivers. The FCC move was opposed by smaller broadcasters who will now be at a disadvantage in their competition with larger corporations. Beyond competition, the concern is that news coverage could be slanted away from local interests. Regarding K-LOVE and Christian music, K-LOVE already has an out-sized influence on trends in Christian music. Programmers control who has entrance into the market and who stays current. They control so much of the market that artists are at their mercy. Over the years, creativity has been hard to find within the evangelical bubble and I worry that the repetitive pop sounds coming from every market will stifle it even more. Recently, K-LOVE completed their Fall Pledge Drive. It lasted at least one day longer than scheduled because they didn’t reach their goal in the allotted time. Even though nobody I talked to at K-LOVE seemed to know how much they wanted to raise, they had to keep begging for money to reach it. 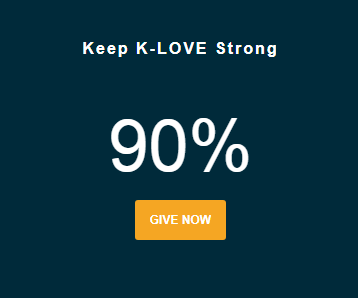 How Much Did K-LOVE Make During Pledge Drive? I tried to find out how much K-LOVE raised during pledge drive. The giant radio organization had a surplus of over $60-million in 2016 so it isn’t clear why they needed to engage in such urgent solicitations. During the pledge drive I talked to two customer service representatives who said they didn’t know the amount and forwarded me to someone else. I then left a voice mail but received no call in return. I also asked K-LOVE via Twitter and the K-LOVE Twitter manager told me to call the station. I had tried that. How much did KLOVE raise during the last pledge drive? If you don’t know exactly, what was the goal? Please write our CEO, Mike Novak with your financial questions or concerns. You can reach him at CEO @ klove. com. Thanks! So then I wrote Novak on October 31 and asked my questions. He didn’t write back. Mike Novak, if you are reading, I would still like to know how much you raised during the fund drive. In fact, I think you should tell everyone on your website and on your station. Remember you are a 501(c)3 organization. It is the least you can do. This is after your on-air personalities asked people for a week to give their best. Now, you should tell people how much you raised. Don’t you think that’s fair? You featured a woman who gave to K-LOVE instead of paying a bill. Don’t you think you should be transparent and tell people what their sacrifice added up to? I realize you just acquired new stations in Los Angeles and elsewhere for nearly $58-million so you need some more cash. But shouldn’t you tell the folks why you want it and how much of it they just gave? 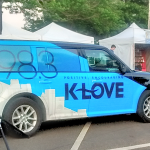 One of the most frequent slogans you hear when you listen to Christian music giant K-LOVE radio is that the station is “listener supported.” When the fund drives are going on, listeners are bombarded with the message that the station wouldn’t be on the air without listener donations. As I have noted in the past, K-LOVE is sitting on millions in cash and investments and pay the executive staff extremely well, so they don’t really need all those “EZ Gifts” to remain on the air. In addition, K-LOVE is accepting paid ads for services. I recently heard an ad for Medi-Share and learned from the health care group that Medi-Share paid K-LOVE for the ads. According to Michael Gardner, communications director with Medi-Share, “Christian Care Ministry receives media placements on K-Love because we support their programming through paid underwriting.” I also heard one from Pure Flix, a Christian comedy and entertainment group. 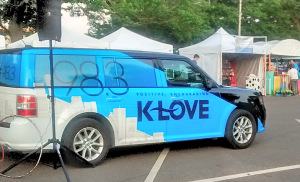 * As far as I know, K-LOVE stations are licensed as non-commercial stations. This might come as a surprise after hearing K-LOVE’s on-air personalities criticize other networks which use ads to underwrite programming. In the past, K-LOVE has even boasted of being “commercial free” (see also here). Judging from online comments, listeners think the station is supposed to be commercial free (see for examples here, here, here, and here). According to the K-LOVE website, avoiding commercials is a selling point. No doubt they play fewer commercials per hour. However, they do air commercials and they air spots from Bible teachers such as Luis Palau, Proverbs 31 Ministries, etc. I wonder if those ministries pay to play as well. *This post is not meant to detract from either Christian Care Ministry or Pure Flix. Both groups may be fine organizations. My interest in this post is to inform donors who might be trying to decide to give to K-LOVE or allow their child to register for Little League or go to summer camp. Go with the child. It is Spring Pledge Drive time at K-LOVE, and so far, the Christian mega station is just asking for money. During past campaigns, K-LOVE has used other non-profits to provide a misleading incentive to give. One year, donors were told a $40/month donation would trigger a the gift of a pair of shoes for a poor child. Another drive, the hook was a warm coat. However, as it turns out, those shoes and coats would have been given anyway. Also, the K-LOVE website doesn’t mention a marketing partnership. About the only gimmick I see is the contests for a vacation and an Apple prize pack. While it may be a little tacky, it isn’t dishonest. I assume someone will win those things. While I continue to believe donors should carefully assess whether or not K-LOVE really needs pledge drive funds to remain on the air (as opposed to using them to expand), so far the station has avoided the troubling marketing gimmicks of past campaigns.